I still have this book from my childhood, copyrighted 1972 (second printing). I remember reading it often and asking my mom to retell her own story of having tonsils removed. It seemed like such an exciting experience! Meeting with the doctor, scheduling the surgery, packing a little suitcase with essentials - "Bathrobe, slippers, comb and brush, a toothbrush...and Old Doll." (I questioned Mary Ann's intelligence considering that was the best name she could come up with for her doll, but I was still jealous). All the while everyone is smiling smiling, like this is the most fun thing ever. 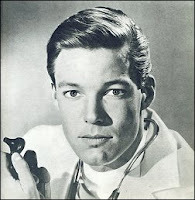 It was probably the prospect of hooking back up with handsome Dr. Constantinople that kept Mary Ann cheerful; he was an obvious rip-off of Richard Chamberlain's Dr. Kildare. I'd go under the knife for that man any day. Apparently, so would my daughter. She has discovered Good-bye, Tonsils and decided she wants to get hers removed, too. Even though neither of us know exactly where our tonsils reside or what their purpose is, we want them out. Maybe for her it's more about the "nurse with golden hair" or walking down the hall "to a pretty room." Or the fat, happy, pink panda that plays a little tune, the surprise from Grandma. (Those used to be my favorite parts, before hormones took over). There is just something magical about this book, 39 cents brand new, with its Mommy wearing gloves (that she gave Mary Ann to sleep with at the hospital) and the dreamy doctor with an exotic name and a shiny red car that miraculously accommodated six (including Baby Clay). I've tried many times to put it in the giveaway pile, but it won't go. We just can't say good-bye. I understand not being able to part with a childhood book. They become a part of us. But I don't remember having my tonsils out as an EXCITING adventure. It was icky; except for the fact I haven't had the once perpetual strep throat since I was 12. This is a fun post. I remember when I got my tonsils out, my bought me a "penoire" set that was baby blue and edged in fluffy maribou. I felt like a princess. It was short lived as no one mentioned I would later be throwing up blood. Don't believe everthing you read, but that doctor is sweet. 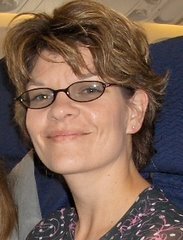 I realize you wrote this entry a few months ago, but I was wondering if you could tell me who is the author of "Goodbye Tonsils"? It was my favorite growing up and I am having a book themed baby shower for a good friend (everyone brings their cherished childhood story to put into a bookshelf for the new baby). I ordered it from a neighborhood bookstore and what came is SO not the same book that I remember! I'm going to search through my attic for it but was thinking with the author's name, I may be able to find it on ebay or amazon. OMG - I loved that book. Just seeing its cover on your blog brought back memories! I'm now going off in search of a "new" copy, as mine was handed down to my cousins. Thanks for a fun flashback!